Product reviews: Tundra™ Fire Extinguisher, "campfire control!" Hey, do you smell something burning?! I have been on a number of camping adventures in the past few years. One that stands out was in 2001, in the woods of Southern Missouri. Some friends and I decided to have a cookout under the stars and grill some hamburgers. One of my friends decided to try out the new stick-resistant aluminum foil that came out that season. Unfortunately, they did not read the label, which did not recommend using the special foil for campfires. The result was a grill with burning aluminum foil, and raw hamburger dripping through the grates. Despite the fact we were only left with potato chips to eat, we could have had a safer grilling experience if we had the Tundra™ Fire Extinguisher with us. The Tundra™ is a small, lightweight extinguishing device, easier to carry along on a camping adventure than traditional bulky fire extinguishers. They can also be kept in your car as well as every room of your house. What is truly amazing is that this little device sprays four times longer than other extinguishers, allowing you to fight the fires more effectively. The spray is as simple to use as window cleaner, and sprays over a large area. If you need to fight a fire quickly, the Tundra™ is ideal. It is also easy to clean up, with just a simple towel the mess from the spray is gone. The only downside to such a small device is that, if you are like me, you are more likely to misplace it during an emergency. However, for only $19.95, you can get one for every room of your house. You also do not need to worry about what kind of fire you are dealing with. 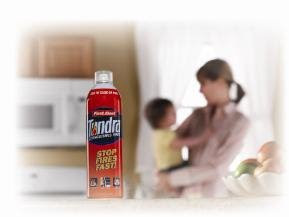 The Tundra™ works on electrical fires, grease fires, and fabrics. You can safely put out fires without fear of making the fire spread faster. With the holiday season upon us, the Tundra™ makes a great gift for the camping enthusiast, or anyone who could deal with fires on a regular basis. It also makes a good gift for yourself, and brings peace of mind. The Tundra™ fire extinguisher could have made our camp out a little less eventful. Or my friend could have just followed the directions on the aluminum foil package. "Deer Santa, Please spare me from camping and hunting"
[Editor's note - Grace is a full-time freelance author and editor. All together, friends. "I hate camping!" I can't hear you! "I HATE -" OK, OK - whatever, I can see the only person joining in is the old lady in the corner with the church dress. Hey, when I get done ranting do you want to split a cab back to civilization? It's December here in Texas, and that means camping and deer hunting to my hubby. He can't understand my aversion. It's not like he's asking me to get out of the tent at dawn and climb up into a deer stand where my toes and fingers go numb and fall off and I have to pee into a beer bottle. His point of view: I get to stay in the nice cozy tent. He can't see what my problem is. My problem is that once he is done tramping in and out of the tent ten times looking for stuff he left in the truck, the tent is no longer either nice or cozy. Mud is tracked all over, the cold is flowing in, and he is no longer in said tent to warm it up with his insanely high body temperature (the sole saving grace of camping, and still not as good as a nice hotel with bed sheets and CH/A). Puhleeeze. Sigh. See, I hate hunting, too. Don't get me wrong, I'm not a 'you're killing Baaaaambi, waahhhhhh' advocate. I could care less, especially if you plan to eat it. Just spare me the draaaaaaama. The intrigue. The sneaking through the bushes, freezing if a twig snaps and doing that little thingy where you point two fingers at your eyes, then jerk a thumb at two o'clock, like you're deep in enemy territory. C'mon. 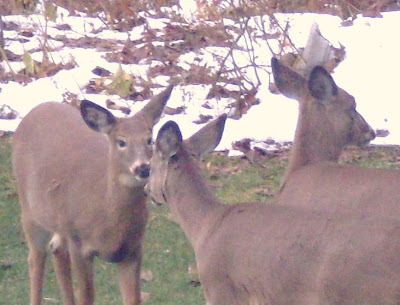 It's not like the deer are planning a sinister counterattack. The whole deal about covering yourself with doe pee, baiting a clearing with corn and waiting in the screened hideaway with a high-power rifle and a sniper quality scope just strikes me as a little lame. Seriously. When did they take the 'sporting' out of sport? I used to know this old guy from Colorado. You know all Texans think they are the world's greatest hunters, macho redneck he-men, right? This little scrappy guy was laughing, and told me how they hunt deer in the Rockies. "You ride a fast pony" he said, "and you use a heavy pistol. You HUNT them, you don't lure them in and pick them off! What the heck is wrong with you people?!" I had to spirit him out of earshot before some good ole Texas boys took offense… but I thought he had a point. Shhh! Don't tell hubby! Product reviews: SanDisk slotMusic™ player, "beyond MP3"
The slotMusic™ Player from SanDisk - a truly unlimited MP3 for hip campers! I got my hands on a product the other day that I was skeptical about at first. I knew SanDisk Corporation makes audio/video products; I own a 4GB flash drive and I have a regular Sansa brand MP3 player, so I was curious to see what this new 'slotMusic' was all about. With the slotMusic™ Player, I can have my genres separated - and my player's capacity really is unlimited. What's more, I can yank the card, slide it into a USB port adapter, and stick it in my mobile phone, PC or any other compatible device. My 7 year old son was begging for an MP3 for Christmas. I've already put his favorite songs off of our CD collection onto a microSD card for him. His own personalized mix of Queen's 'We Will Rock You' (his all time fave) is buddied up next to 'The Year 3000' by the Jonas Brothers. He is going to absolutely freak out. I'm going to have to get one for my daughter, too, so she can mix and match her Taylor Swift, Reba and Kelly Clarkson. She'll need a second card for Evanescence, Demi Lovato, and Avril Levigne; she's like me that way. What happens in the country, stays in the country. The MSRP of a Sansa branded slotMusic™ Player is just $19.99. The preloaded artist branded packages (stylish trendy players featuring likenesses and names - oh, look, there's Taylor Swift now!) include a top album on a 1GB slotMusic card with additional content from the artist; they retail for about $34.99. This is a definite win for the friend without a PC (since it makes downloading unnecessary); for the adolescent or teen in your life that needs a hip new player - or for the guy who has everything but more space left on his MP3. Product reviews: Bin Buddies® , "camp organized"! Even campers can be organized. When I go camping, I'm often surprised at the last minute. "Hey, you want to go camping this weekend?" "Sure. When are we leaving?" "In an hour or two. OK?" So I pile everything into a storage bin, put on the lid and haul it outside, only to have it jostled and rearranged on the road trip. We reach our campsite and I can't find a thing. 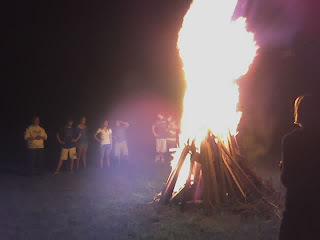 We need to start the campfire, but can't find the matches. I know they're in the storage bin, but now they seem to have disappeared. Just like magic… gone. We dig and dig, but with every piece and parcel moved, something else falls to the bottom. Finally we give up and just dump the entire thing upside down on the ground, only to glimpse the matches as they, again, slide to the bottom of the pile. Now, there is a solution to that problem! Enter the Bin Buddies® storage bin organizer, made by PacEasy. Yes, this is an actual organizer that fits inside a storage bin. Made of sturdy nylon, it slips over the top of the bin, fits down inside and fastens on the outside. 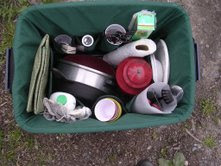 The bin lid still snaps closed, and all of those small, easily lost items can be placed in the pockets, safe from disappearing into the depths of the bin. 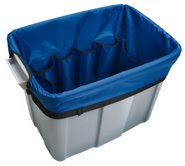 Coming in a variety of sizes, Bin Buddies® will fit bins from 3 gallons on up to 25 gallons. Completely washable, they come in the colors of black, hunter green or royal blue. Most of them have open top storage pockets, although some do have elastic around the top. At the reasonable price of $15 to $28, I plan on having a collection. By keeping my camping supplies in a Bin Buddies® organizer, I can be ready with less fuss and packing next time I am surprised with a weekend in the woods. My closets and storage room are much easier to navigate, now too, since I've exchanged my lack of organization for a few Bin Buddies®. I can walk in and reach right for that small paintbrush or extra flashlight, instead of digging in the bottom of some big bin. The Bin Buddies® storage bin organizer is one of the best things I've found in a long time. It can be used to store almost anything, without losing any of the valuable space in your bin. I plan on having many, now that I've discovered them. NASCAR's #33 race car, piloted by KHI driver Kevin Harvick and sponsored by Camping World, made a pit stop at Eastview Mall in Victor, NY last week. Mall patrons were encouraged to take the hot rod for a test drive around the spacious mall concourses. Unfortunately, the fuel used by race cars is not allowed indoors, so the engine wouldn't start. Camping World sponsors both #33 race vehicles for KHI: NASCAR Nationwide Series and now the Truck Series, replacing Craftsman as the primary backer. In addition, the firm hosts the Camping World 300 (presented by Chevrolet) Nationwide Series race. Founded in 1966 and hailing from Bowling Green, Kentucky, Camping World now offers RV, camping, and outdoors enthusiasts products and accessories at more than 130 stores around the country. The company also provides RV sales, service, and rentals at more than 85 locations. Browse Camping World's website for internet-only specials on its extensive selection of RV and outdoors products. RV sales include Fifth Wheel, Classes B and C motorhomes, travel trailers, haulers and cargo trailers. Their outdoor store section offers RV awnings and accessories, camping gear and grills, racing and tailgating gear, and even pet supplies. 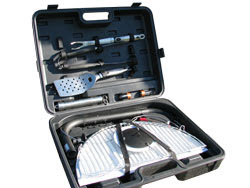 You can also find RV maintenance items, towing and performance products, electronics and interiors upgrades. I receive a couple major mailings each year from Camping World and almost always find something in their flyer that I really must have. Fortunately there are a couple of nearby Camping World locations for my camping products instant gratification! Product reviews: Automatic Chef "better grilling"
What's cookin' on the campfire tonight? While camping, at family gatherings, or on a warm summer night, we will fire up the grill and make delicious steaks, hamburgers, and hot dogs. There is nothing like the taste of fresh grilled food, combined with the companionship of close friends and family. From the moment the fire is lit, I know that a memorable evening is about to begin. As any griller knows, being the cook for the evening does have its disadvantages. Uneven grilling temperature can cause your meat to be either under- or over-cooked, which will ruin your steak. Hovering over the grill constantly as your food is cooking can greatly cut into your family bonding time. Once your food is cooked, you then have the perilous job of retrieving your steaks while avoiding burns from the grill and the fire. With the Automatic Chef, you will have a far more relaxing and enjoyable grilling experience. The hanging grill will slowly rotate, ensuring even grilling temperatures. Once your food is done, you can then rotate the grill away from the fire, to remove your food with ease. Setup is fairly simple, especially for anyone who has set up a tent single-handed before. If you are new to the outdoors lifestyle, it may take a little getting used to. The anchoring pin fits easily into the ground, supporting a large, L-shaped pole. From the pole hangs the battery powered mechanism, which will rotate the grill suspended below it. In addition, there are hooks along the pole, to hang your cooking utensils within easy reach. Everything is adjustable on the Automatic Chef, to suit your grilling style. Raise or lower the height of the grill, depending on how hot the fire is. You can turn off the rotating action, when you need a moment to adjust the food personally. 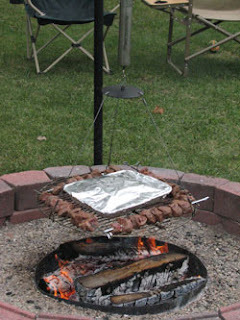 Once finished, you rotate the pole so your grill is not hanging over the fire. The concept of the Automatic Chef is so simple; I cannot believe no one had thought of anything like it sooner. The pole is durable enough to be a permanent fixture over your home fire pit, or you can easily disassemble it and keep it stored in its accompanying carrying case [barbecue tools shown not included]. Since you do not have to stand over the food constantly, you can step away briefly to help set up camp or to have a quick conversation. Those who prefer more hands-on grilling methods may not like how simple the Automatic Chef makes the cooking process, you will have to decide if it is right for you. As always, practice good fire safety habits when using your Automatic Chef. This little marvel will take a lot of the sting out of grilling, and deliver quality steaks consistently. Normally available at $149.95, the Automatic Chef is temporarily priced at $127.46 for a limited time. Try it out the next time those succulent steaks start calling your name! "My wife Joni and I started camping three years ago with our two small children. It only took a few camping trips for us to realize a need for a product such as the Automatic Chef. Over the course of several outings we took note of all of the different camp grill designs out there... After much thought and input from family and friends we decided to combine some of the homemade design ideas out there and take them to the next level. Hi! Yeah, it's me… back with yet another reason that I (you guessed it) hate camping. We can send a man to the moon. We build bread makers that mix, proof and bake at the touch of a button. We have computers so advanced they make even a techno cripple like myself look like I actually know what I am doing. We can't, apparently, produce a tent that anyone short of an astrophysicist can assemble in less than four hours. We also, or so it would seem, are incapable of manufacturing a waterproof shelter. It's not just the tent, really, when you get down to it. It's the idea that the man has to be the one to put up the tent. Unfortunately, tents come with instructions, and we all know what that means. Instructions are like maps, good for stuffing in the glove-box or using as kindling to start the fire. These are barely intelligible, anyway; as if the originals were written by a (what else) astrophysicist, translated into Japanese for no discernable reason, then translated into Russian for greater ease of translating back into fourth grade English. The directions seem straightforward at first, such as 'put the end of pole A in the end of pole B' and 'thread pole C through pocket D.' Problem is, they invariably have sticky circles with the letters affixed to help you determine these slots and tabs, and the inspector who works in the miserable warehouse where they pack these miserable things invariably mis-stickies a few of the poles, causing more confusion. This is the point at which the man becomes frustrated, and starts striking the ends of the poles with a hammer in order to force them to fit according to the little adhesive green circles stamped with letters of the alphabet. The woman must dig the charred remains of the instruction manual out of the fire and take the hammer away from the enraged male, giving him a beer and encouraging him to go take a load off. Four hours later, the tent is assembled, and everything is moved inside just as it begins to rain. Everything placed in the tent to keep dry is promptly soaked, and the weight of the waterlogged material bends one of the flimsy aluminium tubes abruptly in the middle, collapsing said tent on top of its occupants. From the wreckage the head of the household speaks - "I knew I should have done it myself! Women have no place putting up tents…." Product reviews: Fitpacking "Camping for fitness"
I have gone down the weight loss path a number of times in my life. Not satisfied with my current weight or fitness level, I tried just about everything in the book. The one challenge that I faced with each exercise regimen I tried was that they just weren’t fun. Counting out the proper number of push-ups or walking on a treadmill for hours can bore a person to tears. Had I found Fitpacking sooner, I would not have had that problem. Offering their clients a wilderness experience they won’t soon forget, Fitpacking is the ultimate weight loss adventure for those who want to add a bit of spice to their workout routine. Sign up for either a one or two week hike in some gorgeous locations, and get ready to have some fun. Ranging from $950 at the Ocala National Forest in Florida to $1650 at the Shenandoah National Park in Virginia, there are hikes available for nearly any budget. 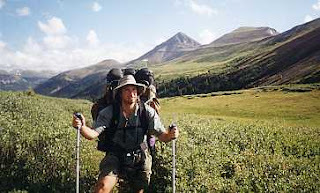 Each wilderness guide leads a handful of weight loss adventurers on their trek through the wilderness. This is the real deal, with no plumbing, and often camping out underneath the stars. There are no safety nets either, and having a sprained ankle when you are miles from civilization could put a real damper on your trip. While the guides do their best to provide you with the safest hike possible, it is best to be prepared for any eventuality. These hikes are not for everyone, though. If you are clinically obese, and become winded walking up the stairs, then you would not enjoy your time Fitpacking. It is more suited for those who have a good level of physical strength, and could endure walking with a 50 pound backpack for hours at a time on rocky terrain. Be sure to consult your doctor before signing up. The price might be a little inhibiting to some, although it is a good deal for the amount of time spent on your fitness trip, and for the incredible results. While losing pounds and inches, you get to explore some of nature’s most beautiful sights, and go on an adventure you may never have dreamed of. You also will come away with new friends who endured the same journey, and these relationships could continue on for years down the road. If you are ready to revitalize your workout routine, then give Fitpacking a try. Give yourself the weight loss vacation that you deserve, and enjoy the fresh air while building muscle. Exercise has never looked so good.